YOU FOUND MY WES ANDERSON EASTER EGG! SIMPLY ENTER YOUR DETAILS BELOW AND BE ENTERED INTO A COMPETITION TO WIN A TOTALLY FREEEEE ENGAGEMENT SHOOT IN LONDON! 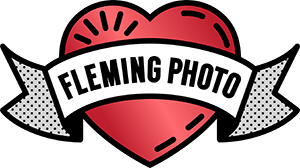 Engagement shoots last just under an hour and can be anywhere within zone 1 & 2 of London or in Leigh on Sea. Good luck! Have you booked your wedding date already? Tell me why you should win this engagement shoot?